22 years of experience in cardiac field, including 17 years as Vice Head of Interventional Cardiology at Heart Institute of HCMC and more than 10,000 cases successfully treated, Dr Huynh Ngoc Long recently assumed his new role as Head of Cardiology, FV Hospital. In 1999, when interventional cardiology was something very new in Vietnam, Dr Huynh Ngoc Long was one of the three selected doctors in the South of Vietnam sent to study interventional cardiology in France. After returning to Vietnam, he worked at the Heart Institute of HCMC. Dr Long cannot remember how many times he has brought a patient back from death’s door. He has recently saved another life from the Death. While performing a surgery on a patient at Thu Duc Hospital on June 23, Dr Long was informed of a male patient admitted to the A&E Department with cardiac arrests and apnea. The patient, born in 1973, has never had a medical history of high blood pressure and was brought to the emergency room for his chest pain. This patient was promptly transferred to Catheterisation Laboratory to undergo procedures to identify the cause of his pain, including the insertion of a 2 mm catheter into an artery in his upper thigh, which was then threaded through the artery to the heart and coronary artery scan with dye contrast performed. The cause of cardiac arrest was identified as a complete blockage of the left anterior descending artery, the main blood supply to the heart. Dr Long performed balloon angioplasty, using a 2.5 x 15 mm sized balloon under 16 atmosphere pressure and stenting with drug-eluting stents at 3.5 x 22 mm, each coated with a special medication under 14 atmosphere pressure. 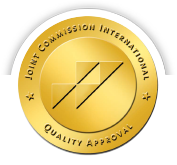 The blockage was cleared out, allowing normal blood supply after a procedure conducted in less than 20 minutes, a proven record that Dr Long should take pride of, compared to his worldwide peers. “The shorter the procedure, the lower the risk of death risk becomes,” says Dr Long. The following day, the patient woke up in the infinite happiness of his family and the surgical team. “My colleagues asked whether I dared to accept this case. I know it would be very challenging but to save the life of a patient, I will never say no,” says Dr Long. Talking about cardiology is a source of endless inspiration for Dr Huynh Ngoc Long. His biggest concern is that heart disease is increasingly common but public awareness is still relatively low. “Blood vessels are like water pipelines. Depending on your diet and level of physical activity, plaques may build up on the wall of blood vessels and make them narrower over time, potentially causing blockages and cardiac arrest,” explains Dr Long. He adds that physical activities help to warm up the body and facilitate cholesterol elimination and blood circulation. The less physical activity you do, the higher your risk of building up plaques. In Vietnam, public awareness of heart disease screening is still very low. Patients only visit hospital following chest pain or serious shortness of breath. This is often too late and acute infarction could occur any time. In addition to the common screening test electrocardiogram, there is another equally effective test that costs less to perform – the exercise stress test. During this test, electrodes are placed on the chest of the patient while he or she walks on a treadmill for 10 minutes to obtain the result. FVH Cardiology is fully equipped with this equipment but it is under utilised. The reason, as explained by Dr Huynh Ngoc Long, may be due to low public awareness of cardiac problem screening. Dedicated to improving public awareness, Dr Long wants to hold more talks and seminars to educate patients on cardiac disease. Attendees will also be able to raise their concerns and questions about this disease. “Cardiac disease now accounts for 70 per cent of cases but it has not received enough attention. I want to raise public awareness of this problem through talks,” he shares. Dr Huynh Ngoc Long has officially taken his new role as Head of FVH Cardiology on 11th July. In addition to the current advanced facility system, FV Hospital has also added the latest coronary scanner to its inventory. Dr Long is working closely with his team to develop a highly professional Catheterisation Laboratory that helps to ensure peace of mind for patients that require treatment and their family members. 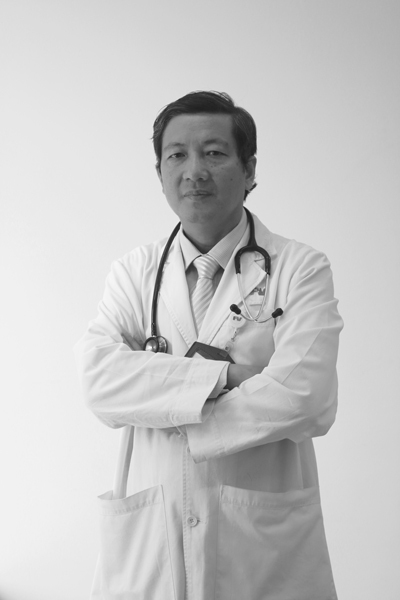 Dr Huynh Ngoc Long graduated as a Paediatrician from HCMC Medicine and Pharmacy University in 1989. Dr Long then obtained Specialisation Degree I in Paediatrics in 1995, also from this university. Dr Long continued his education by achieving a second degree in Interventional Cardiology from the University of European George Pampidou, Paris, France in 2001. Returning to Vietnam, Dr Long earned his Specialisation Degree II in Paediatric-Cardiology from HCMC Medicine and Pharmacy University in 2009. Before assuming his role as Head of FVH Cardiology, Dr Long was Vice Chief of Cardiology Intervention for 17 years at the Heart Institute of HCMC (since 1995). In addition to his clinical career, Dr Long also is an active lecturer. He involved in training cardiologists and developing cardiology teams at over 20 hospitals nationwide.